Im looking forward to watching the movie again. I think Black messed the final act up in comparison to the book, especially the death of a couple of characters and the final scenes. 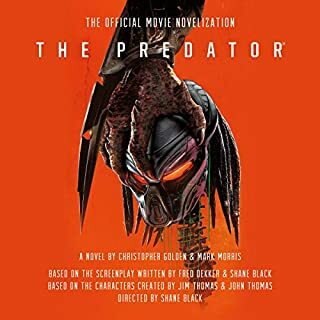 In fact overall the book just flowed better and I enjoyed it more than the movie since it fleshed out the characters, which of course a book can do easier than a film. The film could have had an extra 15 minutes added to fill in some glaring blanks. The constant references to dogs made more sense here. In the film it made no sense as it was missing key scenes. Overall its not as bad as some critics and fans have said and I enjoyed the listen but id say its not for everyone.